Alexander had several admissions to hospital for short periods but, inn Septemebr 1917, it was reported Alexander fainted on a route-march, after "his nerves had been going for some time". Medical reports from January and February 1918 reported that due to the stress of active service Alexander had developed a "History [of] hysterical fits at base hospital. Improved by isolation and [reeducation?]". He was "nervous, anemic ... sleeps badly ... has no confidence in himself ...[and] unfit for further service." It was recommended he be discharged and sent home to New Zealand. Rattray was an experienced soldier when World War I began after he had served in the 8th NZ Contingent in the South African War in 1902. He had also spent three and a half years in the Studholme Mounted Rifles. Prior to enlisting he was living in Sefton Street, Timaru, and working as a farmer. 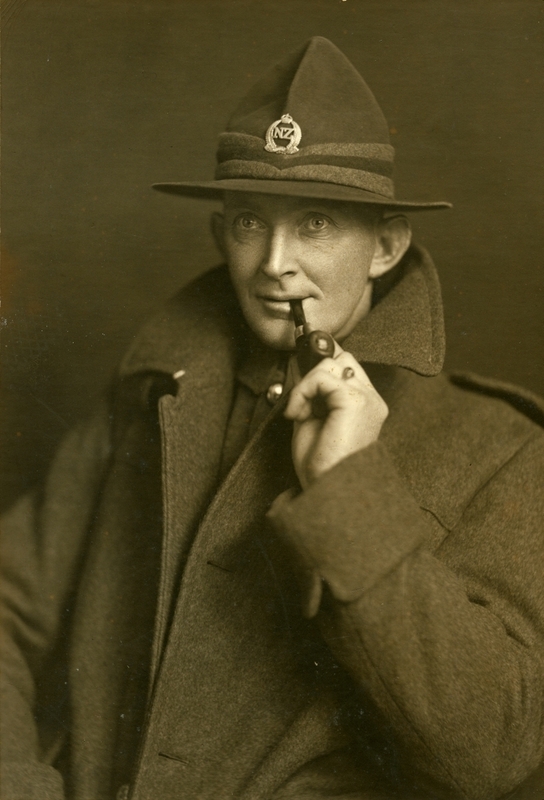 At 35 years he was a relatively old recruit when he volunteered in December 1915. After training in New Zealand for five months Rattray boarded a troopship headed for the Western Front. Although Rattray came from South Canterbury he was posted to the Wellington Regiment which often happened in order to fill gaps in units. He joined the Regiment just before the heavy fighting during the battle of the Somme. Rattray must have impressed as a soldier because following the Somme he was promoted to Lance Corporal and then in January 1917 he was promoted to Corporal. However, he did a have a bad run of illness which saw him admitted into hospital several times. Then towards the end of the year he showed signs of shell shock. Rattray was admitted to hospital with shell shock (or Post Traumatic Stress Disorder as it is now known) in September 1917. The terrible stresses of the Western Front had caused him to suffer a number of psychological conditions, such as difficulty walking, a tremor and depression. Rattray went through a number of hospitals until finally arriving at the 1st New Zealand General Hospital in January 1918. He was declared unfit for further service, returned to New Zealand in May 1918 and was sent to recover at a hospital in Auckland.